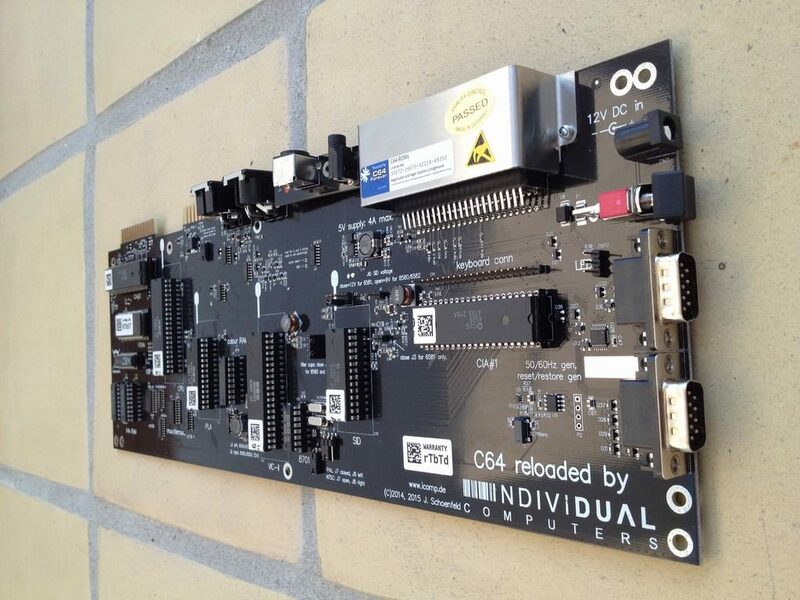 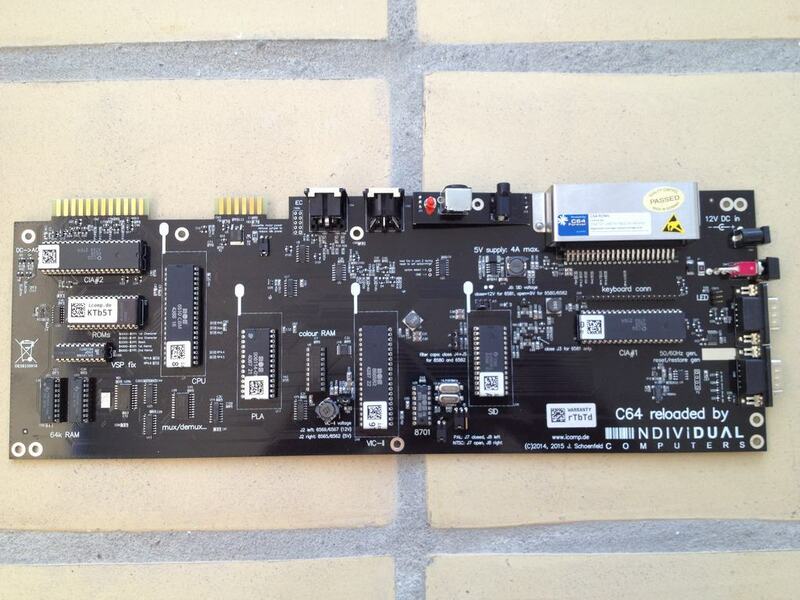 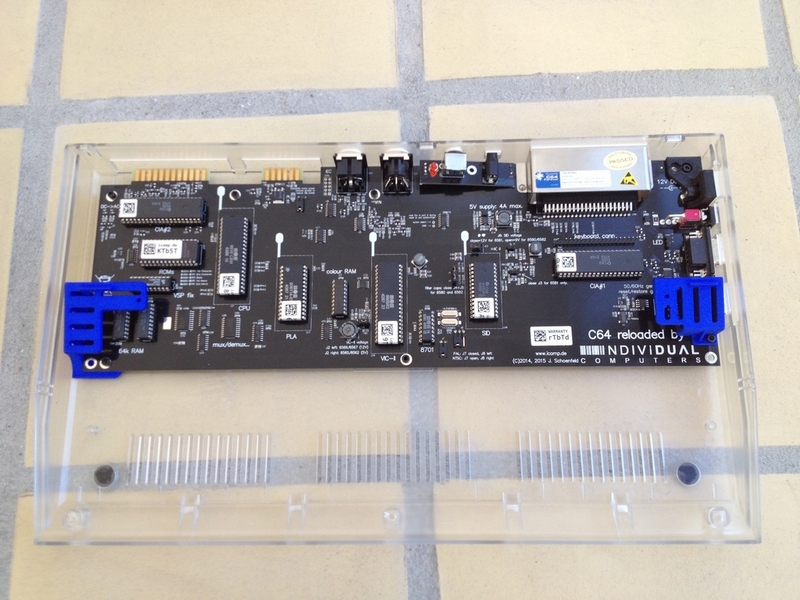 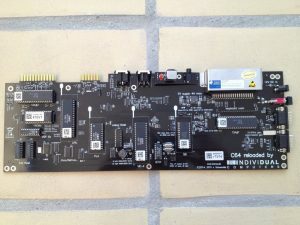 This is the board I won in the e-mail auction before the C64 Reloaded was put officially on sale. 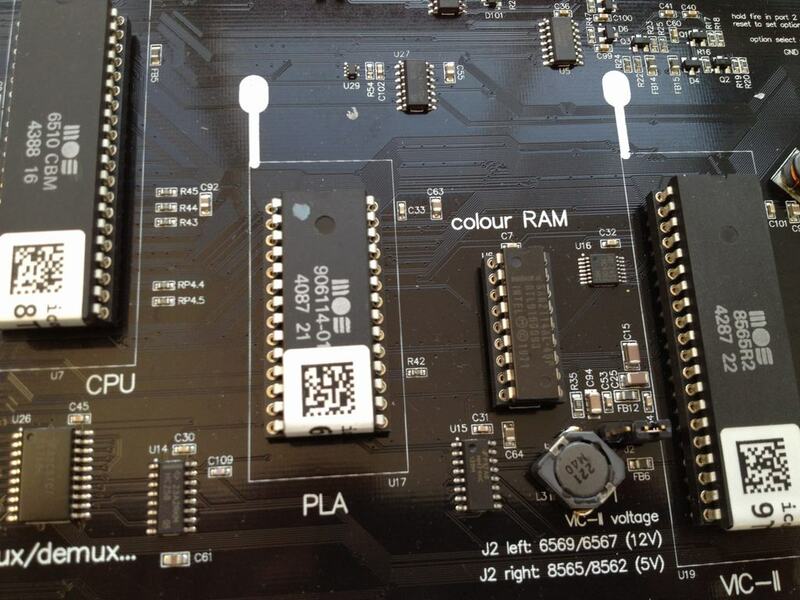 The board is equipped with black turned precision sockets with New-Old-Stock IC’s which have never been installed in a machine before (CIAs, CPU, PLA, SID, 8701). 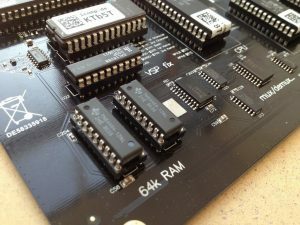 Only the VIC-II chip has been used before. 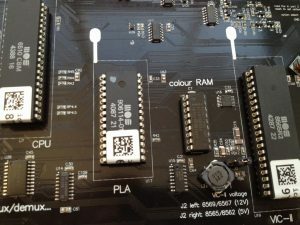 The CPU is a 6510, the SID is a 8580R5 and the VIC-II is a 8565R2. When I first got this board it had a wrong sized diode at D5. 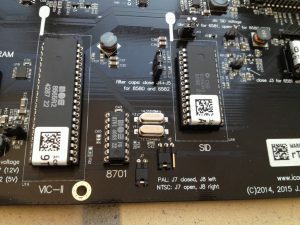 This would cause the SID Vdd voltage to rise from 9V to more than 11V. 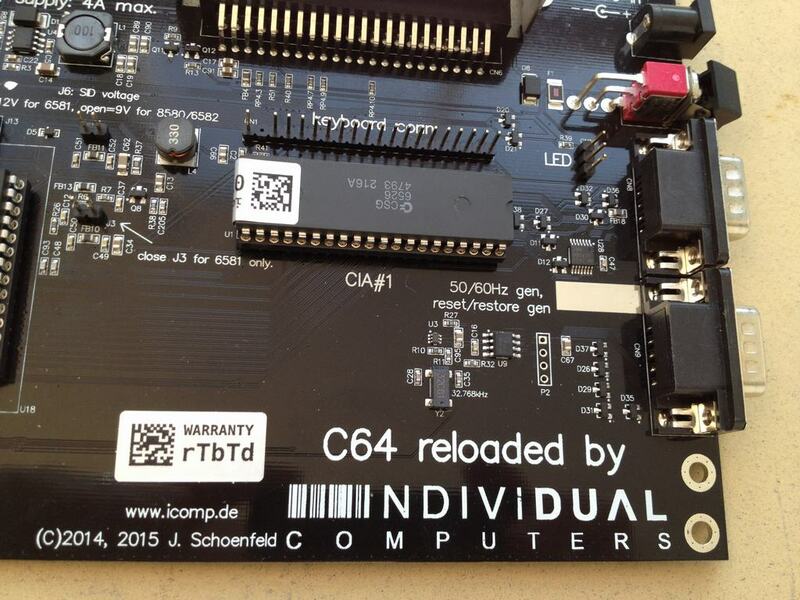 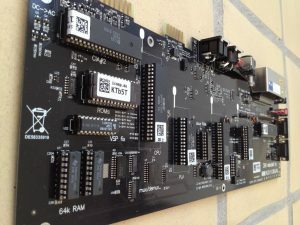 Unfortunately, the fault was not identified until after the first wave of C64 Reloaded boards (the ones from the e-mail auction) had left Individual Computers. 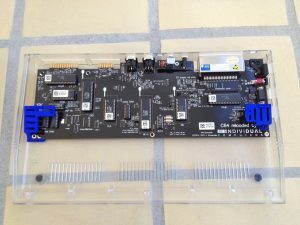 However, without any hassle I returned the board, had it fixed and returned, free of charge, in no time as described here. 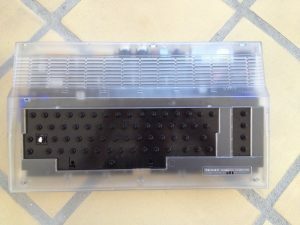 This is a transparent Commodore 64C case from the Kickstarter Campaign. The finish of the case is really good and it should not turn yellow as time passes by as the old cases do. The case currently has no keys as I’m waiting for new keys from the Indiegogo campaign. 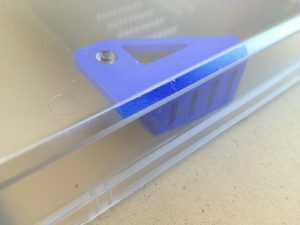 This is a 3D printed power plate that I got from Shapeways (link). It closes the gap surrounding the power plug of the C64 Reloaded. Maybe you can clear something up for me: The C64R page says it fits in both breadbin and 64C cases but it doesn’t mention the brackets. 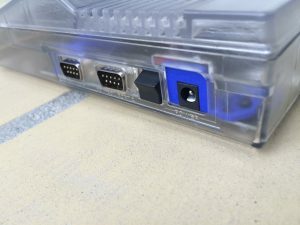 Are they needed for both types of cases? 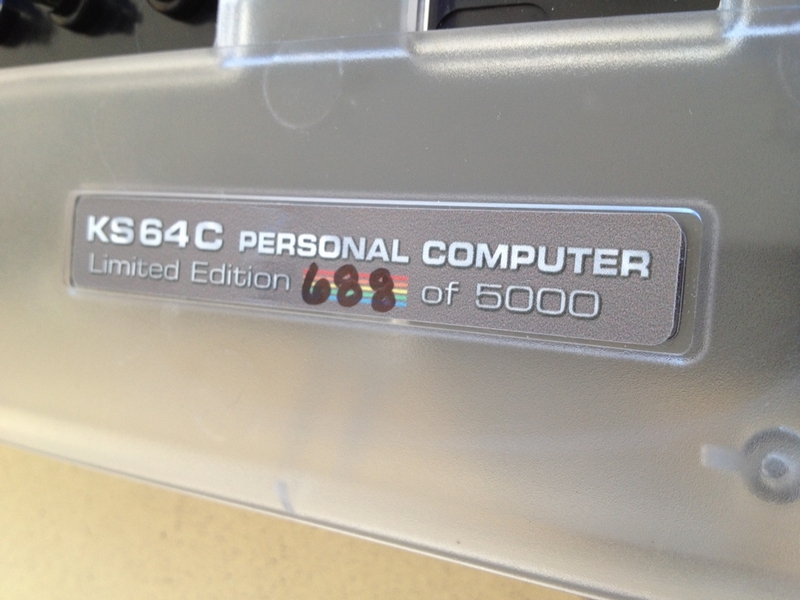 Hi Cory. 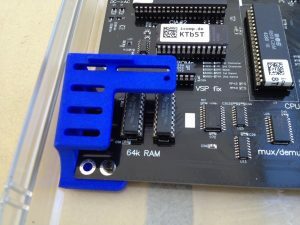 The brackets are only needed if you intend to install it in a Commodore 64C case. 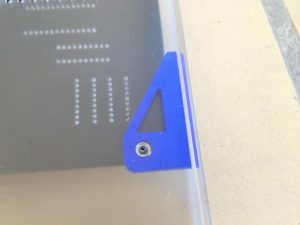 You can re-use the old metal brackets that are already in the donor case or you can buy some 3D printed ones like these (link). 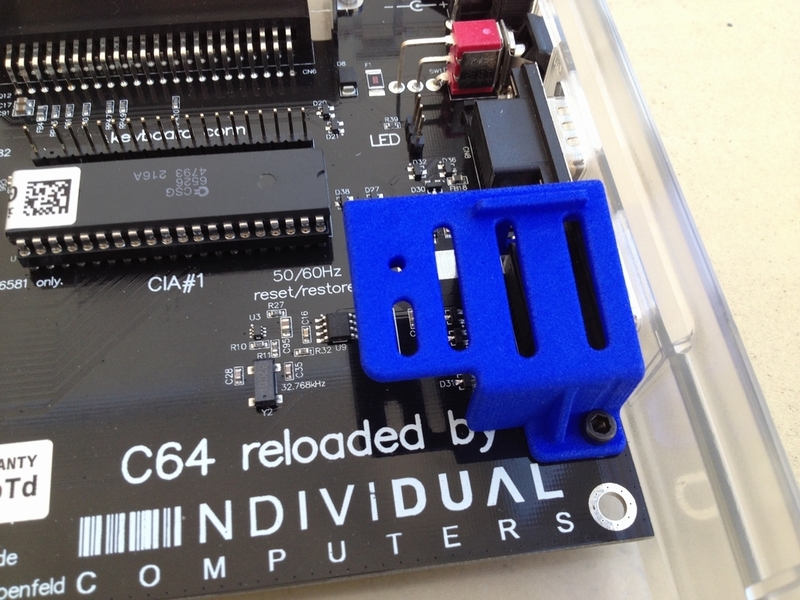 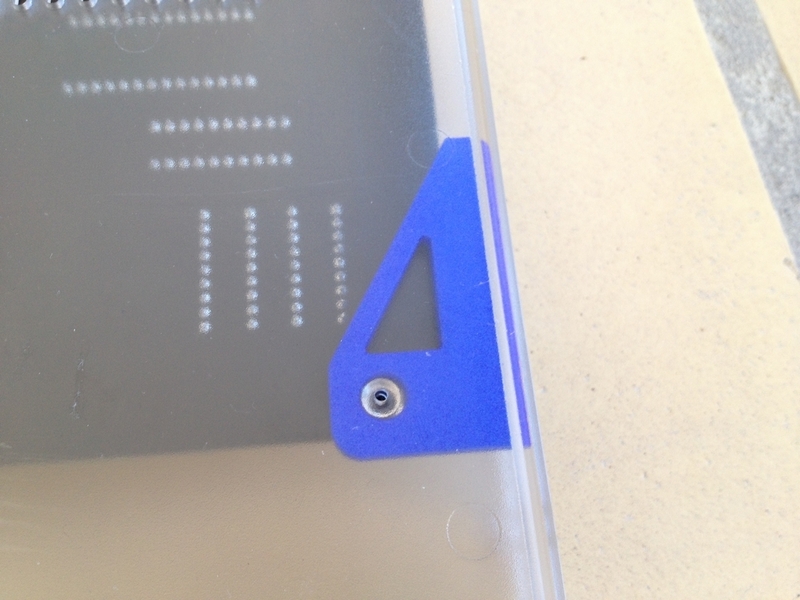 COREi64 also carries 3D printed brackets for the C64C cases (link). 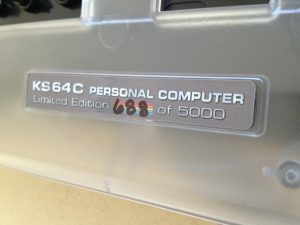 Keyboards in the old breadbox styled cases are fastened directly to the top part of the case and are therefore ‘bracket-free’.